Your monogram jewelry collection is no-doubt cherished. After all, it was made specifically for you, with your initials and your preferences. Naturally, you want to make sure all of your very favorite jewelry pieces endure in the face of everyday wear, but how? 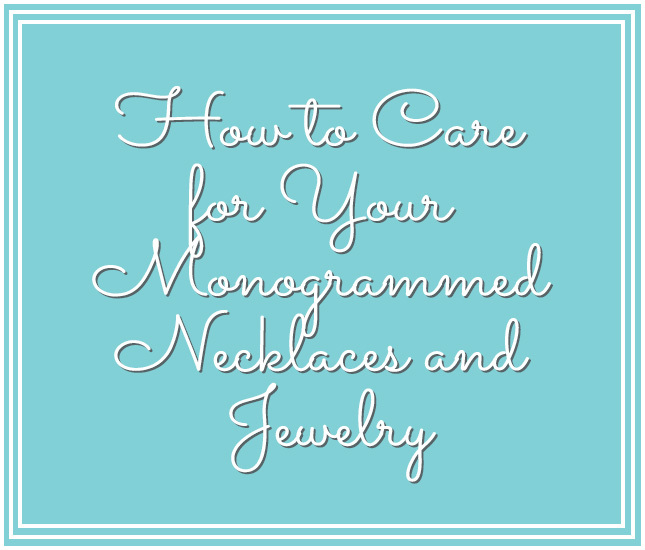 In this guide, we’ll show you exactly how to clean, store and maintain your monogram jewelry so that it stays in tip-top shape no matter what. 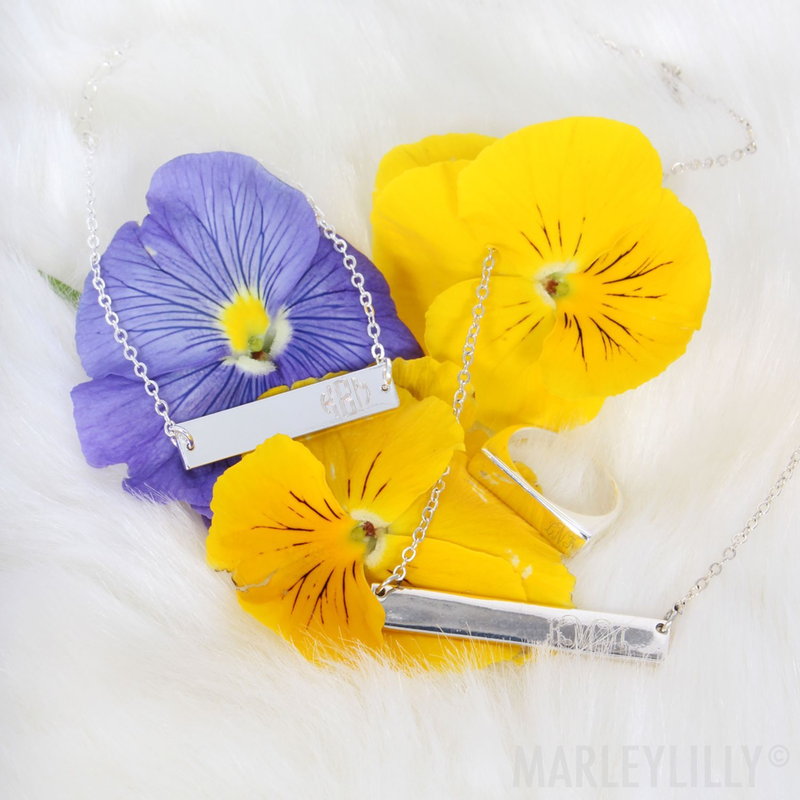 Follow these tips to get more mileage out of your personalized jewelry and to prevent oxidation (the natural process that turns the jewelry a darker color), tangling, scratching and breaking. Maintaining your jewelry, monogrammed or otherwise, comes down to two important factors: proper cleaning and proper storage. If you keep the following tips in mind while spiffing up and storing your favorite pieces, you can be sure they’ll be beautiful and shiny whenever you want to wear them. Gently Wipe Down Jewelry—Occasionally, your jewelry will become dirty and dingy or lose its luster. You always want to make sure you’re cleaning jewelry based on its material (cleaning gold will differ from cleaning sterling silver, for example). 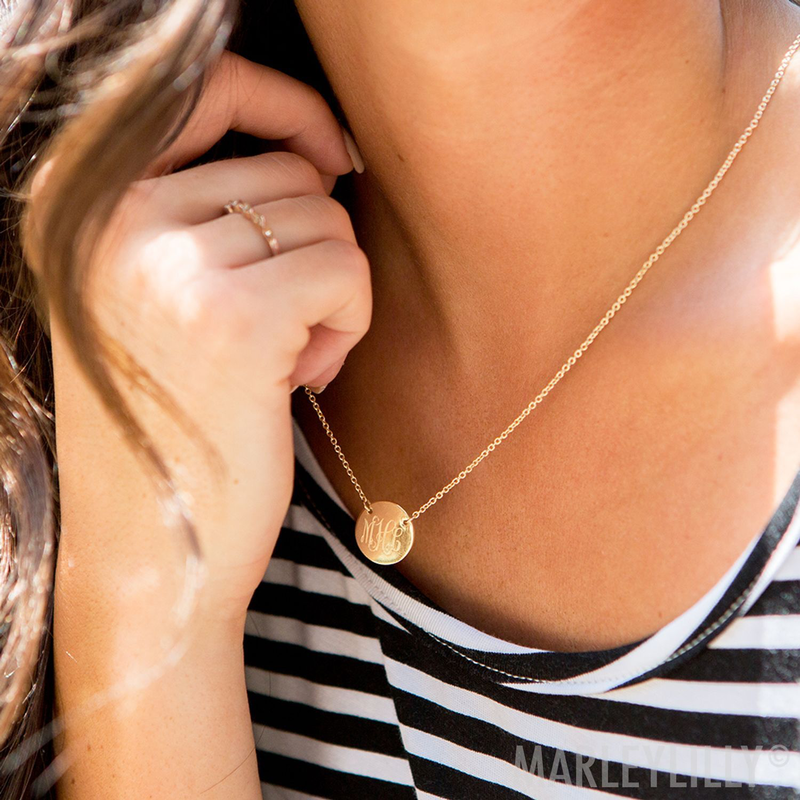 All of our monogrammed jewelry pieces can be spiffed up by applying a gentle hand soap or mild jewelry cleaner and warm water using a toothbrush or polishing cloth. The key is to make sure that you dry each piece thoroughly as soon as you’re done cleaning—excess moisture can cause oxidation and permanently affect the finish of the piece. Apply Hair Products and Perfume After Jewelry—To prevent jewelry from becoming dirty or permanently damaged, try to get into the practice of putting it on after you’ve applied any hair products (including hairspray, dry shampoo and leave-in treatments), perfumes, essential oils, etc. These products can chemically damage the surface of your jewelry, not to mention leave them looking grimy or dingy when you want to wear them. It’s also a good idea to get in the habit of removing jewelry before you enter the bathroom, gym, pool, spa or anywhere else that might expose it to moisture. Invest in a Good Jewelry Box—If you don’t already have a solid jewelry box, you know that it’s impossibly easy for your jewelry to get lost, tangled or damaged while in storage. Invest in a good-quality jewelry box (preferably a monogrammed one) that has a soft, felt covering and special compartments for rings, bracelets and necklaces. If possible, hang any bracelets, necklaces and chains from a jewelry tree or a unit with hooks or pegs to prevent them from tangling. 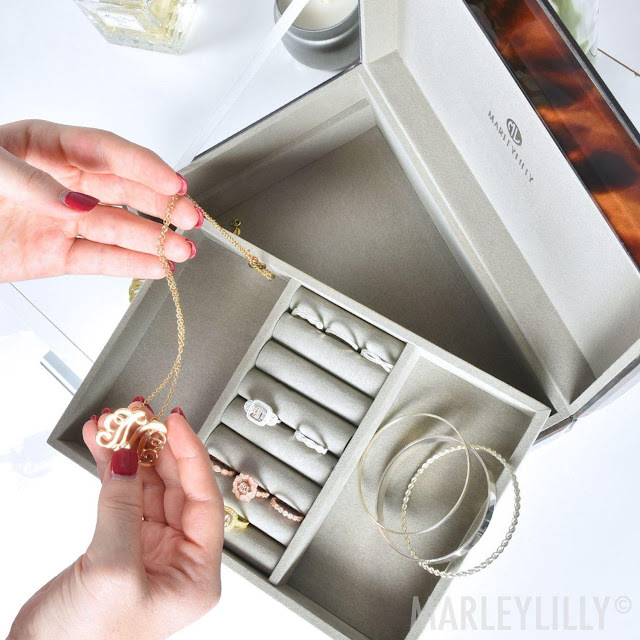 The best part about a jewelry box is that it keeps your favorite styles organized, so you always know where they are when you’re getting ready and accessorizing. Store in a Cool, Dry Place—As you already know, moisture is the enemy of jewelry, as it can cause it to rust or tarnish over time. Be sure that you keep your jewelry stored somewhere cool and dry that doesn’t expose pieces to direct sunlight, extreme temperatures or ambient dust. If possible, store all of your best pieces within a contained unit with a secure-closing lid. Store Pieces Individually—You want to make sure that all of your jewelry is stored individually from one another to prevent scratching, tangling and oxidation. One of the simplest ways to do this is to invest in a jewelry box with multiple compartments or to purchase a few felt or cotton jewelry bags so that each piece is separately stored. Just make sure that your jewelry isn’t rubbing against each other or has the opportunity to become tangled. With these fantastic tips, you can be sure your favorite jewelry items will endure for the long-term so that you can continue to use them as the icing on the cake of all your cutest styles. Keeping them clean, lustrous and scuff-free is key to showcasing their very best feature—your monogram!